The NHL free agency period has been clicking along this summer and most teams have already established their units heading into the 2016-2017 season. But for those clubs still looking for an extra piece along the blueline, there are some interesting options still up for grabs. At the top of the list is Kris Russell, who is still a free agent a month into the signing period. 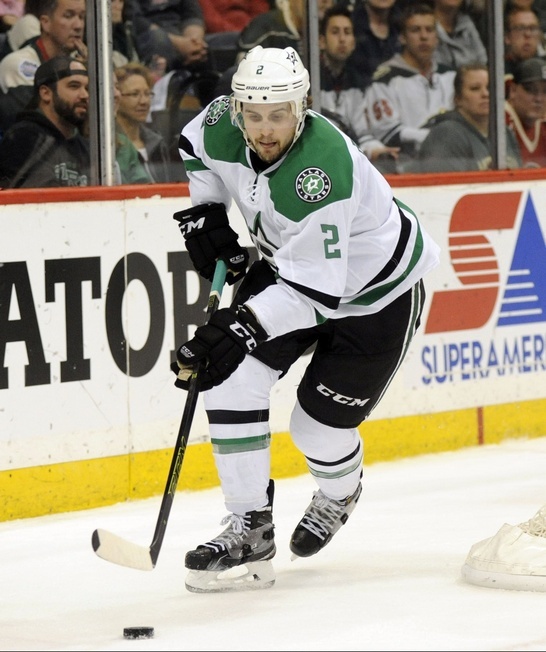 Part of the reason the 29-year-old defenceman is still on the market has a lot to do with his $4 million asking price, a total sum the Dallas Stars were unwilling to part with for his services. Russell finished the 2015-2016 season second in blocked shots, but he wasn’t exactly stellar in 61 games spent with the Stars and Calgary Flames. He piled up 19 points over 62 games and added four points in a dozen post-season games with Dallas. Those are solid numbers for a depth defenceman, but a defenceman looking for a cool $4 million a year had better put up some better metrics. 34-year-old Christian Ehrhoff is also available. He’s coming off a topsy-turvy season with the Los Angeles Kings and Chicago Blackhawks. He managed a dozen points in just 48 games and tumbled down the depth chart in California. Most would argue the German defenceman’s best days are behind him and that certainly appears to be true given the numbers, but there’s still a depth role for him on a team looking to add a little extra something. Ehrhoff’s asking price is probably not that high – he made $1.5 million in a year with the Kings – and he could fill in some gaps in the right situation. 35-year-old Barret Jackman is in a similar position. Like Ehrhoff, Jackman’s better days are behind him. And like Ehrhoff, Jackman is best suited to a depth role where he can thrive as a third-stringer and fill in some gaps. Jackman is a top shutdown defenceman and he’s had experience bolstering young players like Seth Jones in Nashville. He had five points for the Predators last season and slipped into a secondary role ahead of a trade to Columbus, where he was paired with Ryan Ellis from time to time and helped solidify the defensive core. Kyle Quincey is also available. The 30-year-old free agent had 11 points in 47 games for the Detroit Red Wings last season. He’s capable of putting in some serious time on the ice and can move the puck well. Injuries seem to be an issue, however, and some clubs may be of the mind that Quincey isn’t a risk worth taking. James Wisniewski is also somehow still available. While he missed almost all of last season due to a torn ACL, the 32-year-old from Canton is one of the most viable right-handed shots available. He can pile up some secondary scoring for a team in need, plus he’s a solid presence on the penalty kill and can drive puck possession. There are other options in play, like Marek Zidlicky and Nicklas Grossman, and some teams may land a gem if they’re interested in parting with a little green.